Jon Jones doesn’t know much about losing, as he has never tasted an actual defeat in his mixed martial arts (MMA) career. Sorry, Matt Hamill. That said, the former Ultimate Fighting Championship (UFC) Light Heavyweight champion does know a thing or three about compassion, as “Bones” had some encouraging words for Ronda Rousey after she suffered a 48-second beat down at the hands of Amanda Nunes at UFC 207 last Friday (Dec. 30, 2016) in Las Vegas, Nevada. 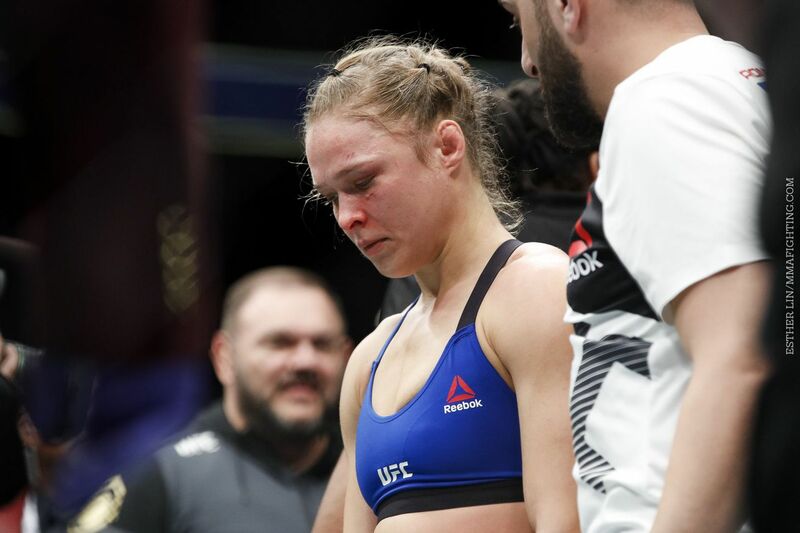 Via social media, Jones encouraged Ronda to keep her head up and give it another go after suffering her second consecutive loss. I think it’s important for Ronda to show her fans how great she truly is by displaying her courage and giving it another try. Indeed, Rousey has $3 million reasons to keep fighting, despite her claims about not caring much for cash. But, unlike her radio silence when she lost to Holly Holm at UFC 193 over a year ago, Ronda issued an immediate statement after her defeat to “Lioness,” proclaiming that she’d take another extended leave from the fight game to ponder her future. Anyone think she’ll take Jon’s words to heart and return to the cage for another go?